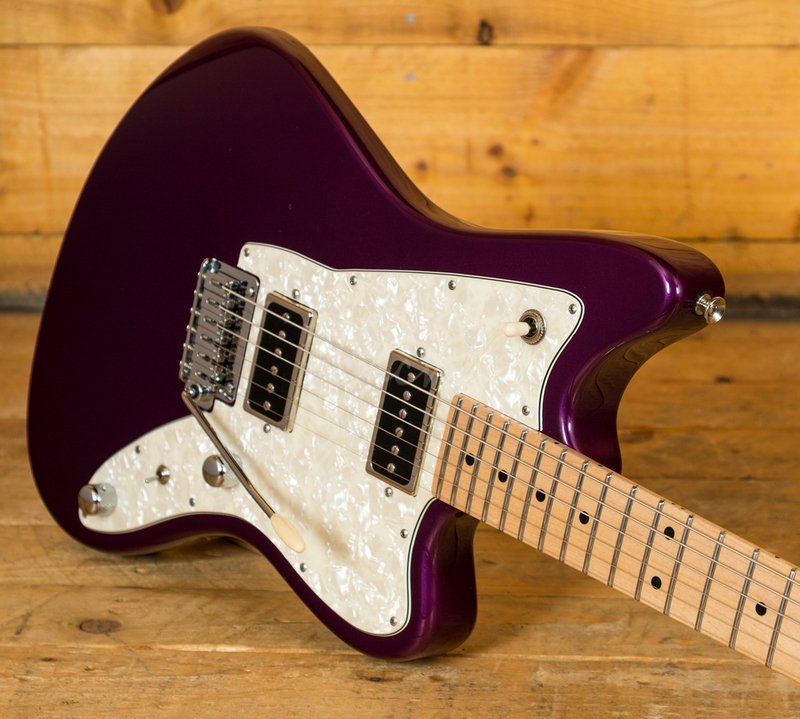 Inspired by the classic offsets of the late '50s, the Tom Anderson Raven offers a unique blend of retro styling and modern playability. 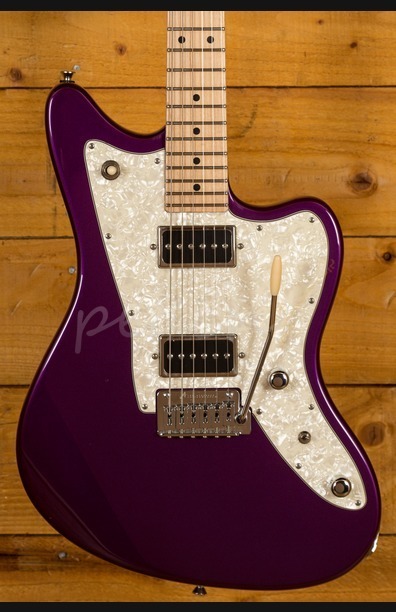 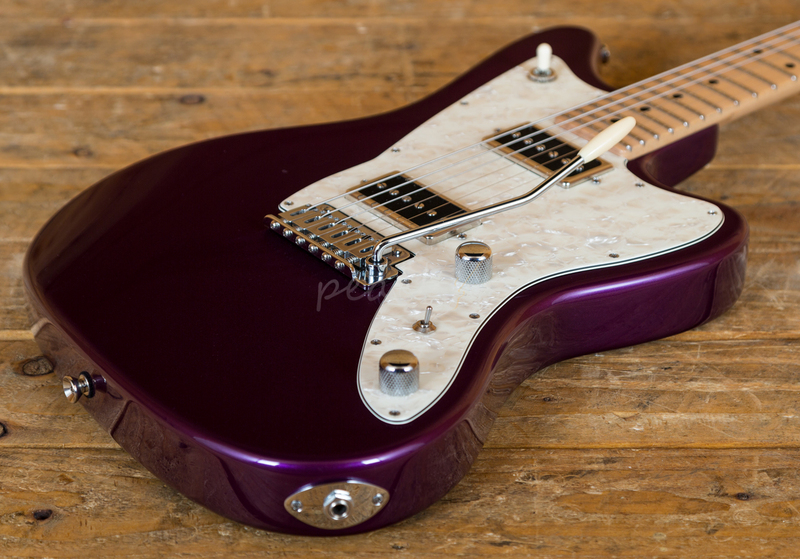 With a beautiful offset Alder body, finished in a super cool Metallic Purple, this Raven sports a classic Pearl White pickguard for that authentic offset vibe. 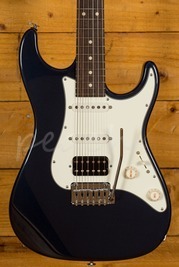 The Maple neck has a Happy Medium profile and Natural Satin feel, for a slick but stable neck grip. 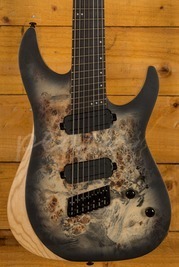 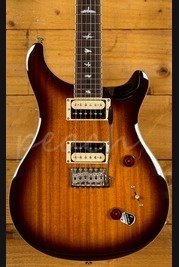 Rocking Tom Anderson PH1 and PH3 pickups, you have tonnes of tonal options here, it has a really nice, focussed tone. 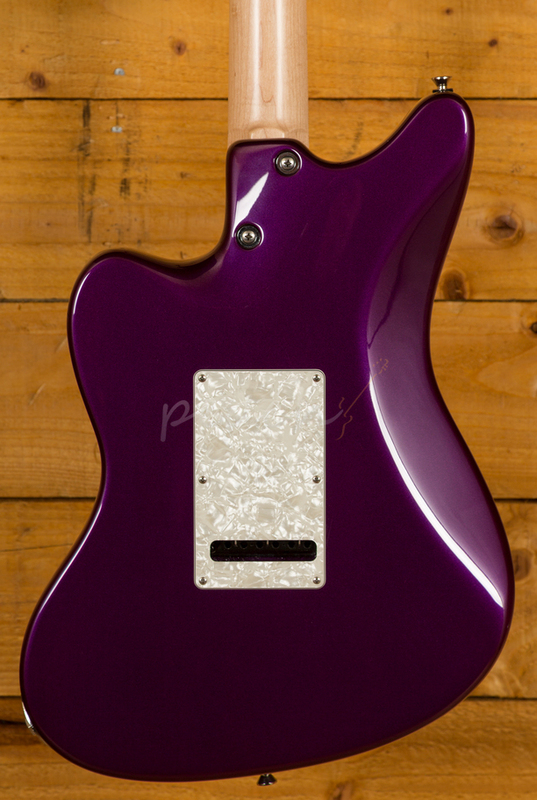 With the Buzz Feiten tuning system and a vintage tremolo bridge, you get incredible tuning stability and intonation. 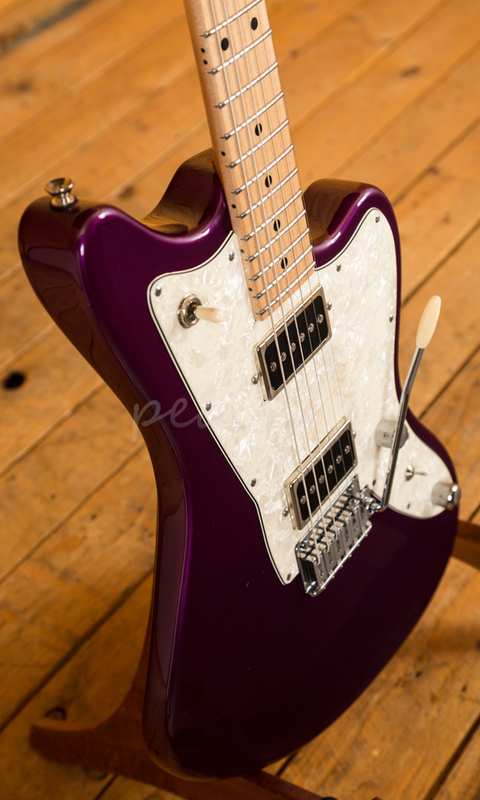 The Tom Anderson Raven Classic is a high spec offset powerhouse, built to a supreme quality and looking super sharp, this guitar is a real winner. 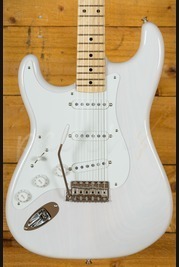 With a a slick feeling 24 3/4" scale, you'll immediately notice how easy this guitar is to play. 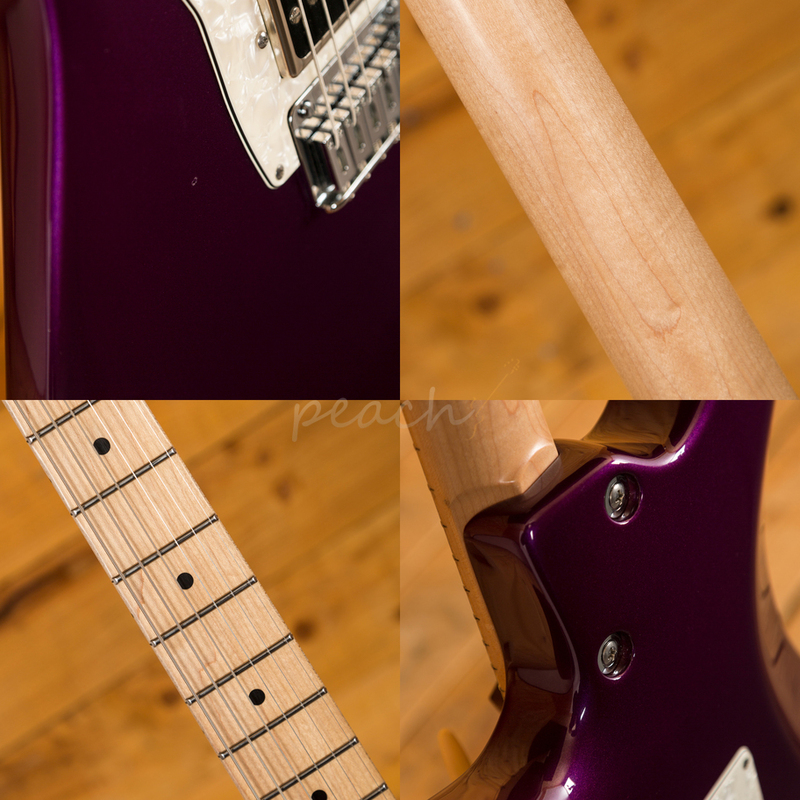 This guitar is used but overall in really nice condition, there are several small areas of wear on the body, mainly on the bottom edge and there is a small impact mark on the front, check out our studio shots for further details. 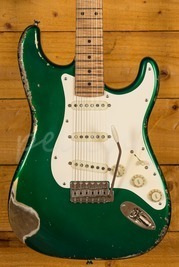 Complete with a hardcase, this guitar is a real bargain.